Looking for a convertible full-face helmet to provide a little extra protection on the sketchy stuff? Consider the Giro Switchblade. A favorite of the “enduro bros”, the Switchblade is also ideal for rad ladies thanks to its light weight, comfort, and superior safety. 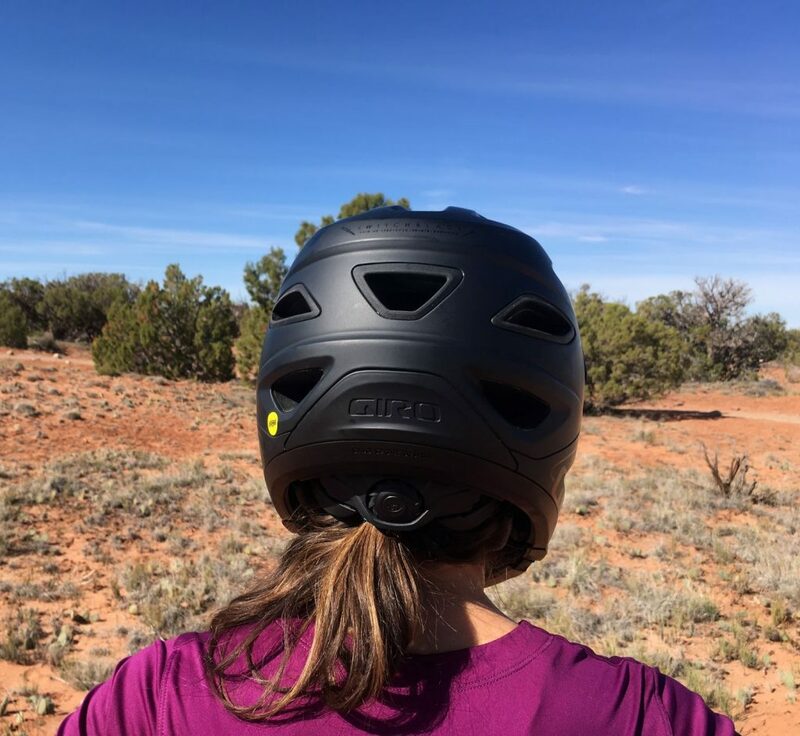 This ASTM DH certified downhill lid has a removable chinbar, so you can use it for both epic climbs and techy downhills. We also appreciate the wide variety of colors, decent weight (when compared to traditional full-face helmets), multiple visors, and easily removable chin bar. 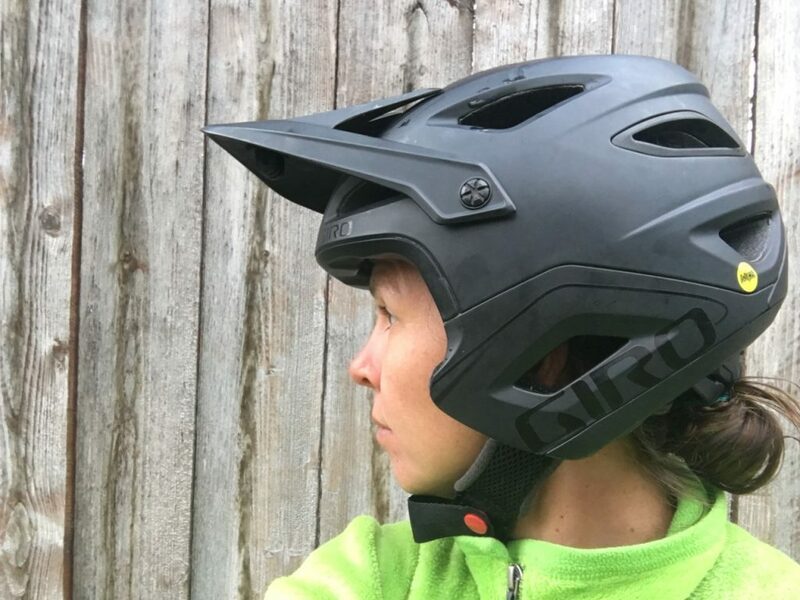 If you are looking for a convertible mountain bike helmet that also has the ASTM downhill certification, the Giro Switchblade MIPS is one of your best and only options. I spent a bunch of time doing research on convertible helmets only to find out that most of them don’t have the ASTM downhill certification. That means you shouldn’t use the helmet on your next lift-serve downhill day, nor do you have maximum protection when hitting that gnarly jump at the bike park. The Giro Switchblade does meet the ASTM-1952-DH standards (with AND without the chin bar installed) which means it offers maximum protection whatever type of riding you plan on doing. 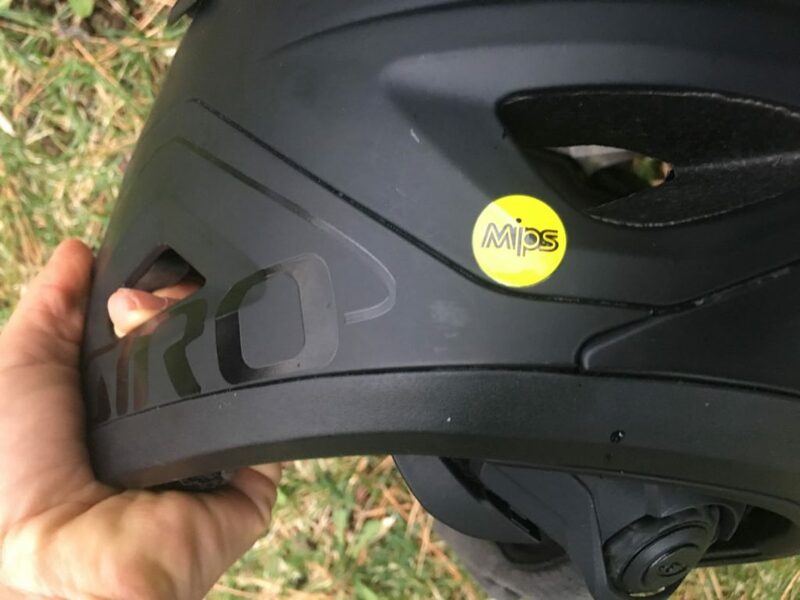 Sticking with the safety theme, we also appreciate that the Giro Switchblade has MIPS technology. If you’re not familiar with MIPS, studies suggest that the low friction liner provide added protection from rotational forces, i.e. it adds an extra layer of protection for your brain. I’m pretty picky about the way a helmet fits. First off, if it doesn’t fit great, it’s also not doing a great job of protecting your head. Second, if it doesn’t fit right, then you spend you’re entire ride thinking about your helmet rather than thinking about the trail. I stole this helmet from my husband (shhhhhh!!! ), and while we have similar head circumferences, swapping helmets usually requires quite a bit of time to adjust. On the Giro Swichblade, all you have to adjust is the rear fit dial. It’s easy to access and adjust, even with gloves on, and does a good job of snugging up the helmet. 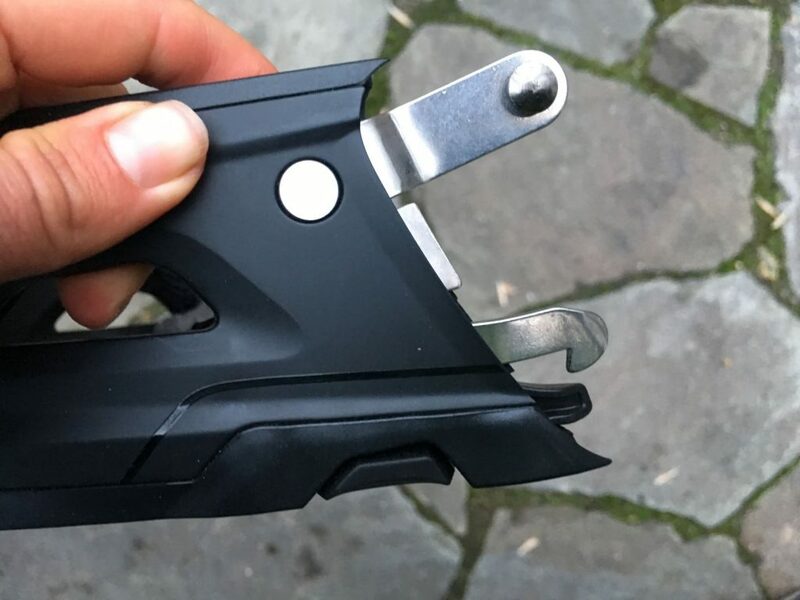 If you’re not accustomed to downhill mountain bike helmets, the chin buckle may take a bit of getting used to. Rather than a traditional buckle, it has a D-ring closure. Once you’ve used it a few times though, closing the D-ring is quick and provides a nice secure fit. There is also a snap to keep the excess strap secure and out of the way. The helmet comes standard with two visors. Why would you need two different visors you ask? One visor flips up for use with googles, the other doesn’t adjust but offers a GoPro mount. If you do want to use this helmet with a GoPro (or other POV camera), it’s also worth noting that this helmet does a great job. I found that the footage was far more stable with the under-visor mount on the Giro Switchblade than the top-of-helmet mounts on other helmets (such as the Bell Super 3 MIPS). Without the chin bar, the Giro Switchblade does look a little goofy (at least to me). Because it covers the ears and has a lot more coverage than a traditional half-face helmet, you will probably turn some heads. Compared to a normal mountain bike helmet, the Giro Switchblade feels heavy and gets hot quickly. For this reason, I wouldn’t reccommend the Switchblade to be your primary helmet if you do a lot of trail riding. That said, on long trail rides with extra technical riding, the extra bulk is totally worthwhile for the safety factor. 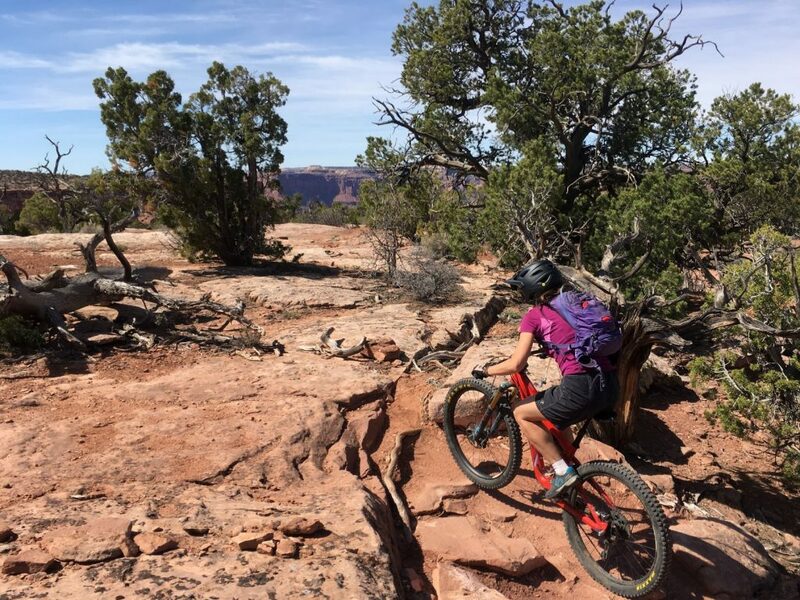 I tested the Giro Switchblade on the Moab’s full Mag 7 ride. This 26-mile epic has plenty of climbing in addition to double-black tech. I was super happy to have the chin bar to clip on for the gnarly sections, and comfortable enough the rest of the day with the chin bar off. As a downhill helmet, the GIro Switchblade really shines. 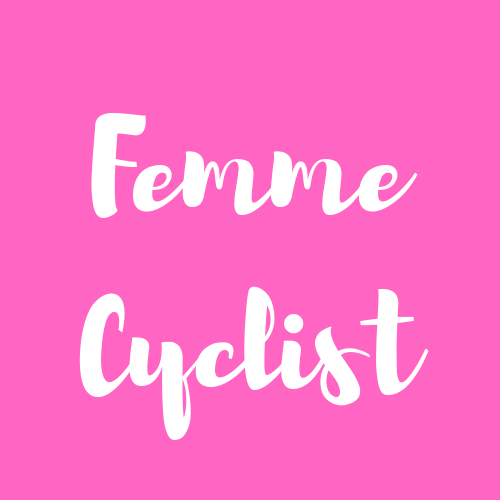 As women, we tend to have less neck and shoulder muscle than our male counterparts, which makes the weight of a downhill helmet hard to bare. At 1,120 g, the Giro Switchblade is much much lighter than most full-face mountain bike helmets. It also has better ventilation, and offers better hearing, than other beefier full-face lids. There are 20 vent holes and efficient air flow channels throughout. Despite good ventilation, full-face helmets still get sweaty. Which is why we like that the odor resistant padding that does a good job of staying funk-free. As I previously mentioned, I stole this helmet from my husband which I couldn’t/wouldn’t have done if the helmet had been stinky. 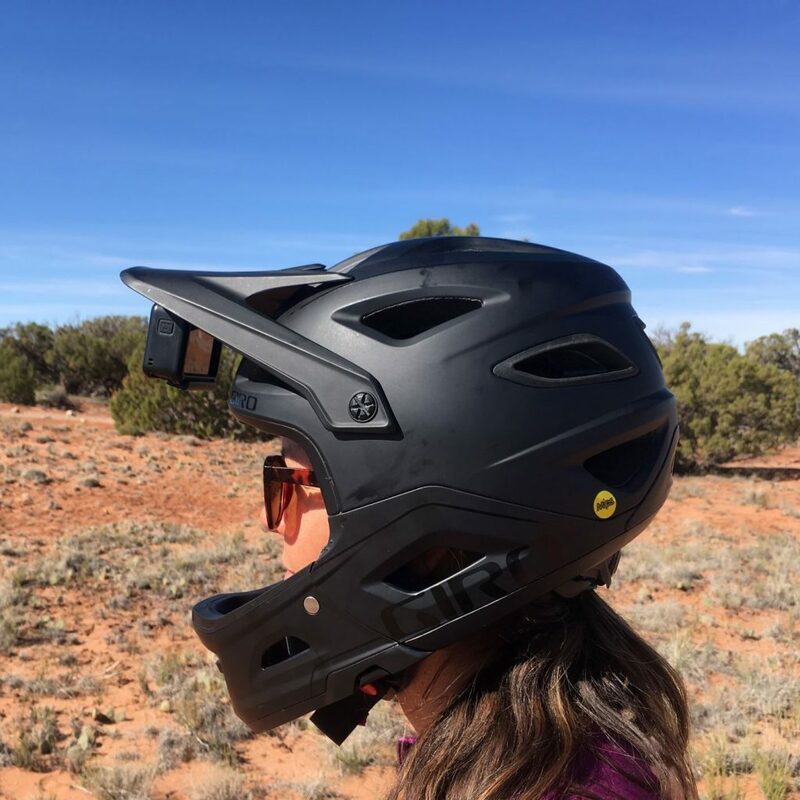 For these reasons, the Giro Switchblade is one of my top picks for full face helmets for women, even if you don’t plan to use the helmet with the chin bar removed. 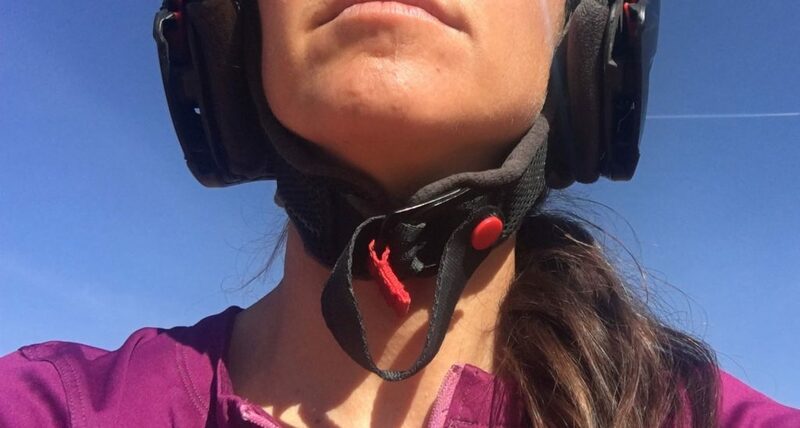 The chin bar is pretty simple to snap on and off and can be done without taking the helmet off your head. Yes, it does take a little practice, but once you’ve got the hang of it, the chin bar is a cinch. It attaches to the helmet via a few metal bars and hooks, then “snaps” into place, so you know that it’s firmly attached. While I ended up with the black Switchblade (it was on sale), I do appreciate that the helmet comes in a wide variety of colors. That said, there aren’t many options if you are looking for something a little bit feminine. Most ladies I know aren’t looking for a brown helmet, yet the Switchblade comes in several different versions of the color. The Giro Switchblade retails at $250. 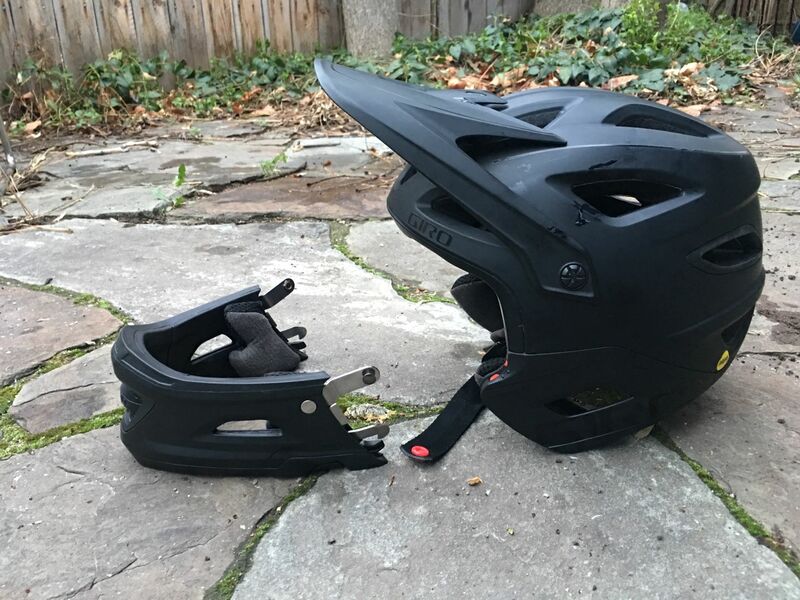 This puts it at the high-end of convertible full-face helmets, and significantly more expensive than non-convertible downhill helmets. That said, we believe the helmets safety features and convertibility make it totally worth the price. Here’s how the Giro Switchblade MIPS stacks up with the competition. Thanks to the ASTM DH cert on this helmet, we’re calling the Giro Switchblade the best convertible helmet around. 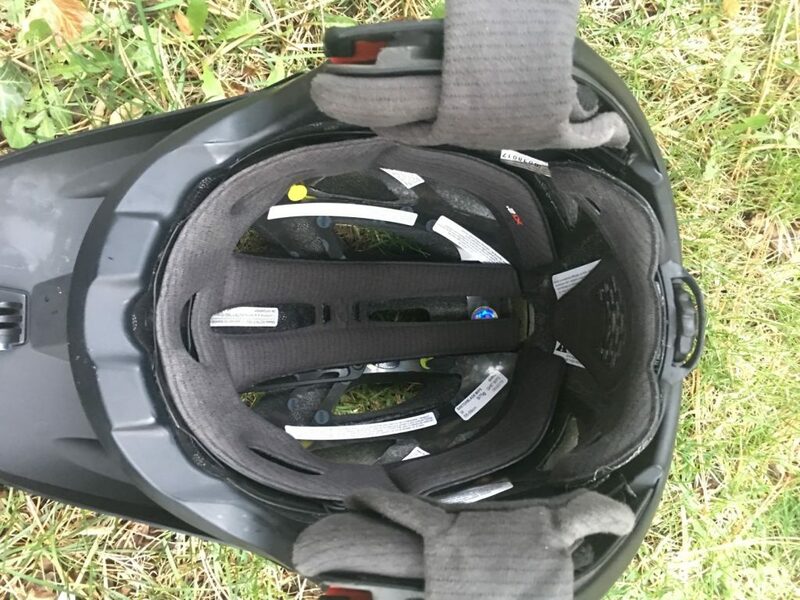 It performs as well as a non-convertible downhill helmet in the gnarly stuff, and does a decent job of staying cool and comfortable on the uphill climbs. It is ideal for any ride that includes seriously technical downhills, as well as days at the bike park. The only person we wouldn’t recommend is a rider who spends most of their time doing trail rides; if that’s you, stick to a traditional half-shell instead.